Enjoy sunsets and views of the golf course, lake and sound from private pool, hot tub, or expansive open/covered furnished decks. Game room, laundry room, bath with shower. 3 bedrooms (2 with Queen, 1 with Bunk set and Twins (one lofted), 2 baths (1 with tub and shower, 1 with shower) hair dryers in both. Entry sunroom, den with TV. Bedroom (with Queen, TV/DVD player), 1 bath (with shower and hair dryer). Living/dining/kitchen area. 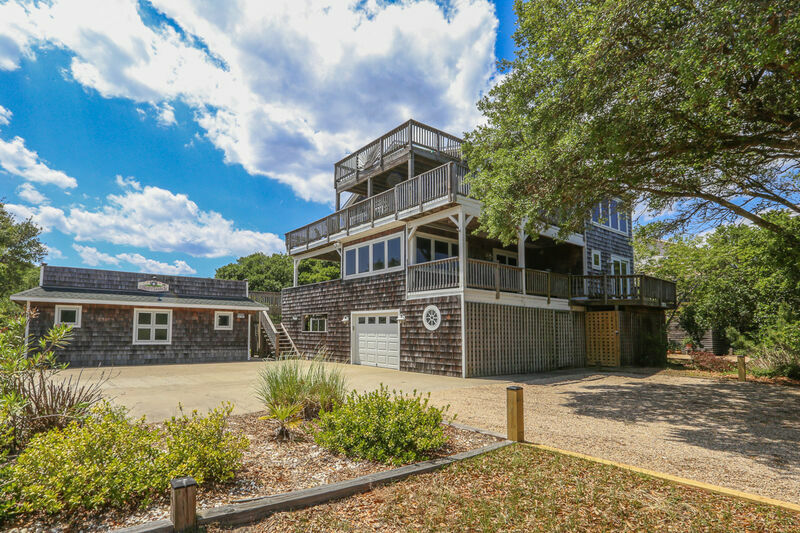 Large screen CATV, stereo/CD/DVD player, spiral stairs to loft and deck with ocean views.